Several prominent buildings in Kolkata, including the KMC headquarters and the Writer’s Buildings, have flouted heritage norms, according to conservation architect and former West Bengal Heritage Commission member Partha Sadhan Das. If the government continues to endorse such blatant violations, it could be difficult for conservationists to preserve other such structures in the city, he argued. 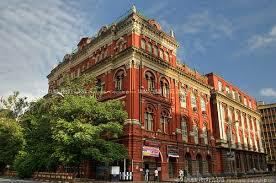 “An additional floor was added to the KMC building bypassing the heritage architecture rules. Such violations have their roots in the additions made to the Writer’s Buildings in the Sixties. Ugly structures were built on the courtyards, which is a gross violation of heritage norms that were sadly not in place yet,” said Das. Addressing a seminar on the occasion of the Word Heritage Day on April 19, Das cited examples from around the world to stress on the need to put heritage structures to a more active use. “The global trend is to make heritage structures visitor-friendly and use them. Unless you attract more people, it will be difficult to preserve them. But in Kolkata, we haven’t been following that pattern. Instead, heritage norms are regularly being flouted,” said Das. He cited the instance of the Cooch Behar palace that has been turned into a hospital without the necessary architectural alterations. “They are using heavy diagnostic instruments. Air-conditioners have been installed without making the structure suitable enough to bear the load. These could have disastrous consequences in future. While heritage structures need to be changed to put them to an effective use, they should be scientific and drawn up in consultation with experts,” observed Das. Heritage rules needed to be altered and strengthened to prevent such violations, he felt. “I have redrafted the rules and sent them to the information and cultural affairs department. I guess they are being considered,” Das said.